After enduring years of hunger, deprivation, and devastating loss at the hands of the Khmer Rouge, ten-year-old Loung Ung became the "lucky child," the sibling chosen to accompany her eldest brother to America while her one surviving sister and two brothers remained behind. 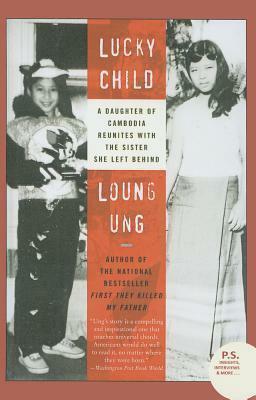 In this poignant and elegiac memoir, Loung recalls her assimilation into an unfamiliar new culture while struggling to overcome dogged memories of violence and the deep scars of war. In alternating chapters, she gives voice to Chou, the beloved older sister whose life in war-torn Cambodia so easily could have been hers. Highlighting the harsh realities of chance and circumstance in times of war as well as in times of peace, "Lucky Child" is ultimately a testament to the resilience of the human spirit and to the salvaging strength of family bonds.